A huge well done to everyone for their hard work on the World War 1 project! I'm a Teacher Get Me Out Of Here!!!!!! Not built on firm foundations! Jesus' team had firm foundations! Team 3 found lots of corn! Who will be crowned King or Queen of the Teachers! Well done Class 8 !! Brilliant performance! Technology Week! We've had a great start to the week! 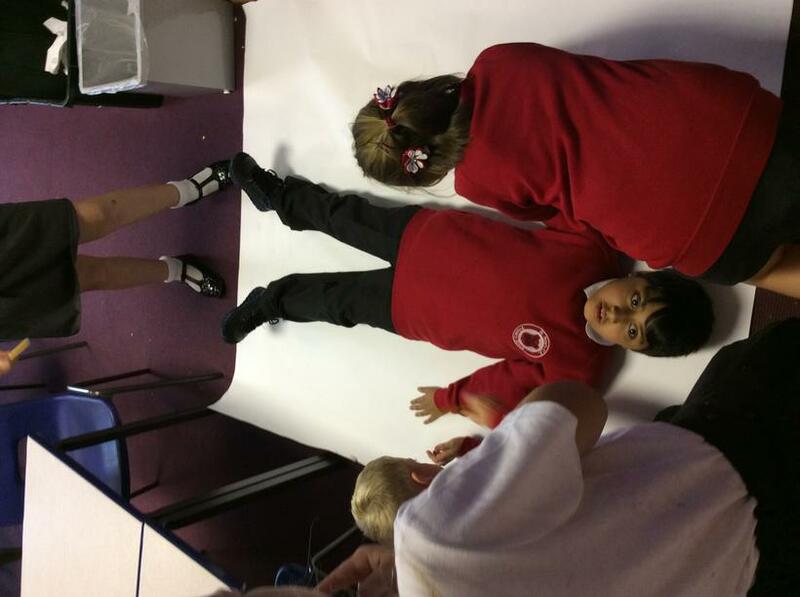 Looking at at how products work! Turning our boxes inside out! We've used a saw to cut the dowel! We've made our Cam and now we're exploring different cam shapes! Class 8 Gymnastics! We've had a fantastic time and developed our skills! Romeo and Juliet! What should Romeo do? 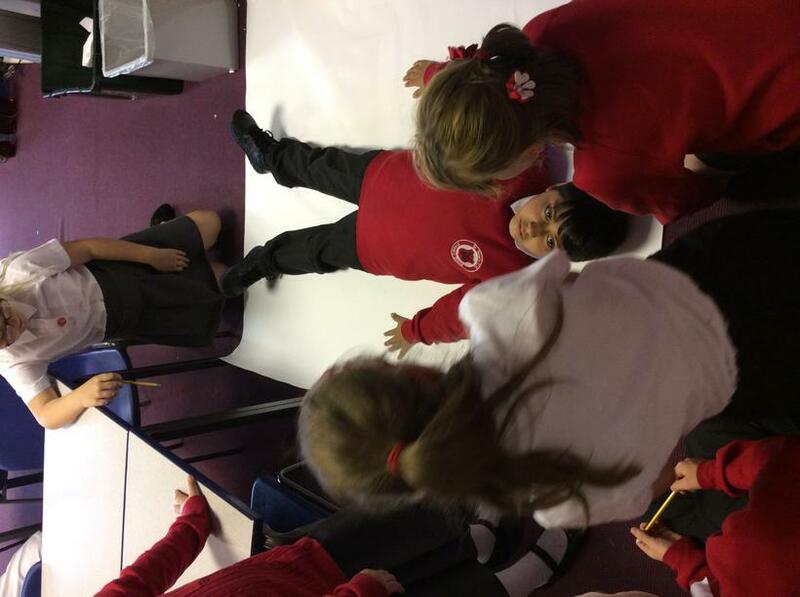 We did conscience alley to explore Romeo's thoughts! We have been using clay to create our own Stonehenge! We learnt lots from David! Mr Singh showed us how to put on a turban! Seth was a fantastic model! David and Mr Singh offered snacks for everyone! We did well in the quiz! Learning about worship at the Gurdwara! We walked past the Guru Granth Sahib. 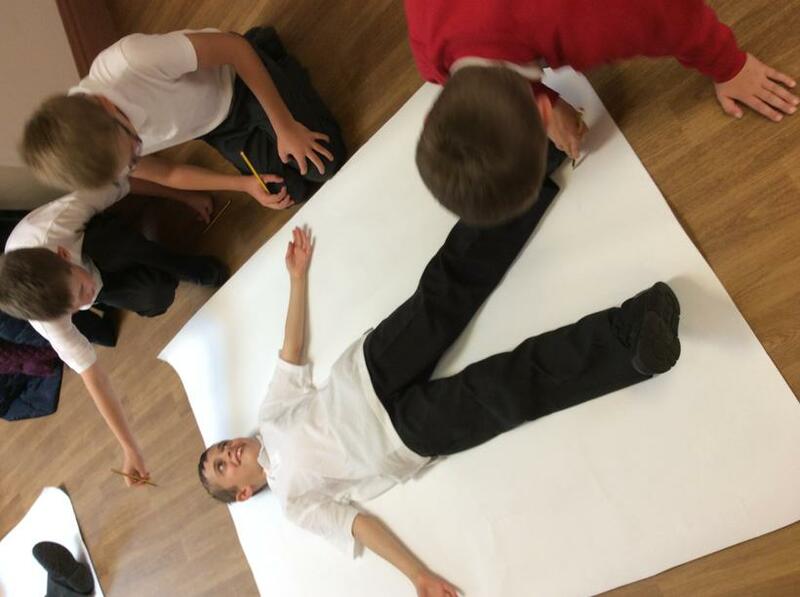 Class 8 did a fantastic worship on the Prophet Daniel! Well done! 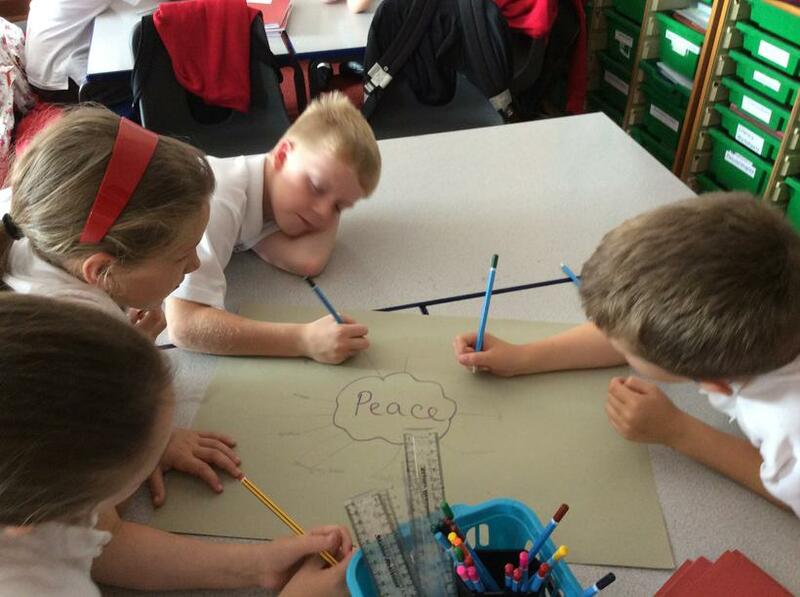 We thought about how peace could really change our world! More videos coming soon ! Author Nicola Davies visited school today!! What an amazing morning! Nicola reading the book! Wow!! Our work made Nicola cry with joy! Miss Blackburn has her copy signed! History! We have been thinking about ordering dates on a timeline! It was tricky because it was a long time ago! 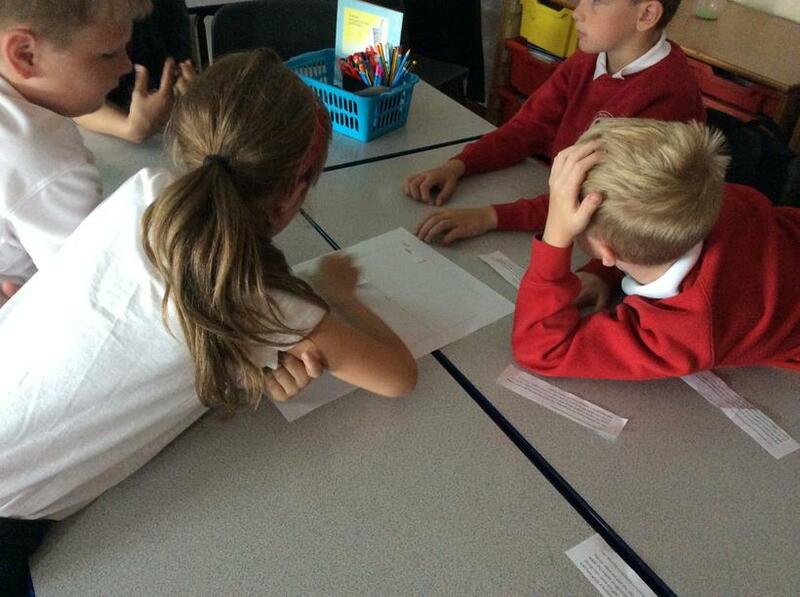 Talking and sharing our ideas! Caitlin is busy looking at her timeline! 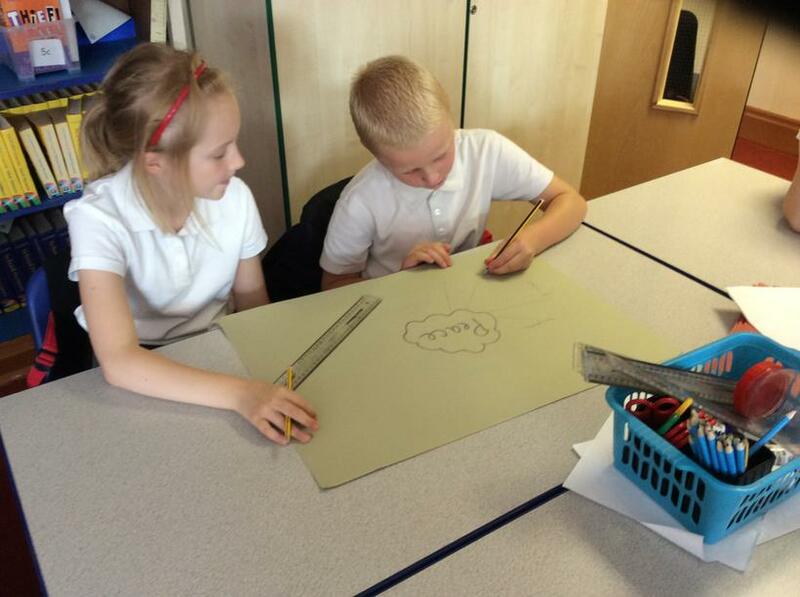 European Languages Day! Bonjour! Hola! 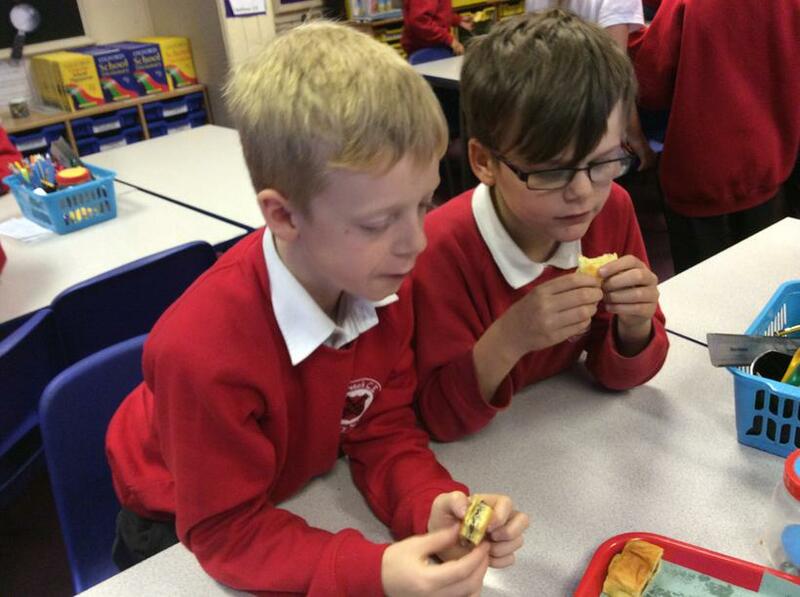 We have been learning different languages and even had croissants! 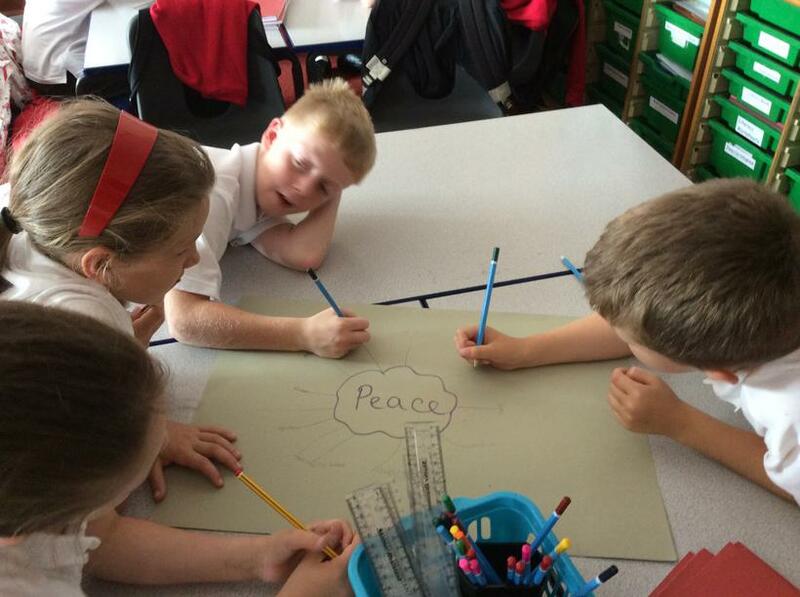 Aadam has been busy at home and made a powerpoint all about peace. Thank you Aadam! 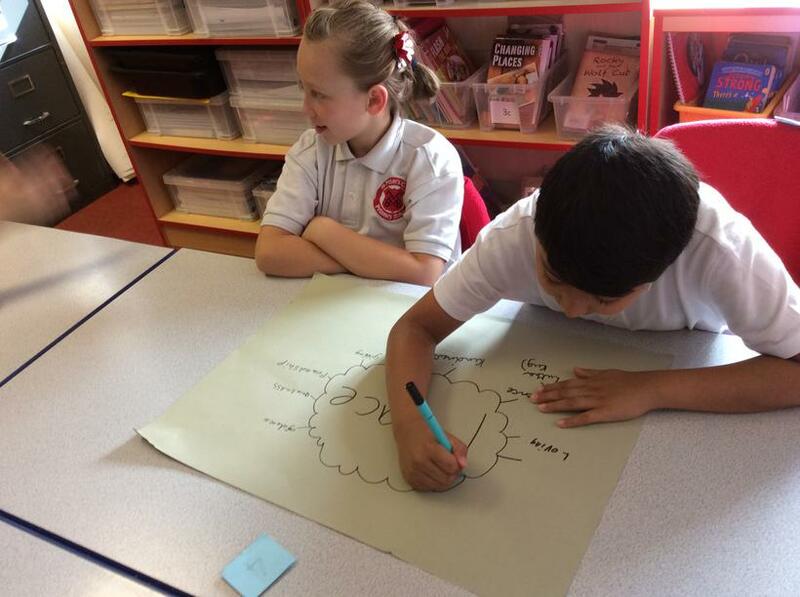 In RE this week we have been asking questions! Peace: What?, Why?, When?, How?, Who? 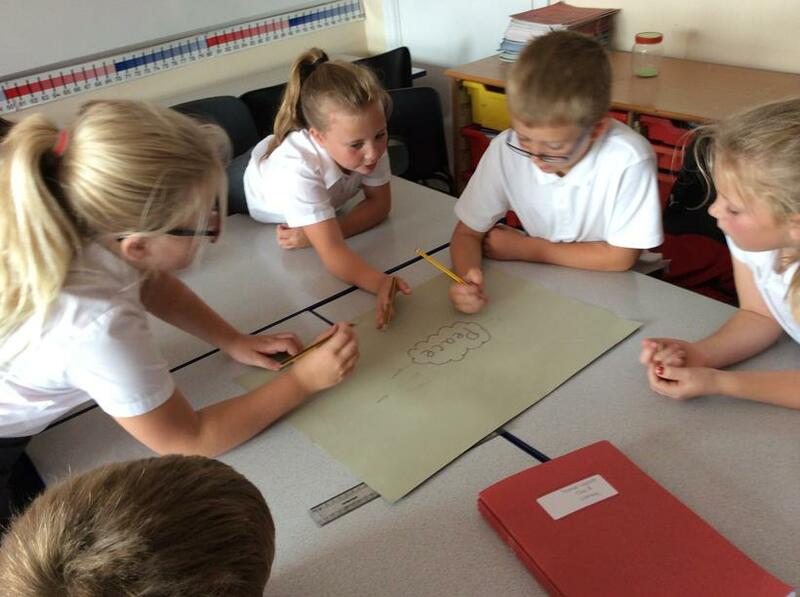 We've have learnt about Rosh Hashanah. 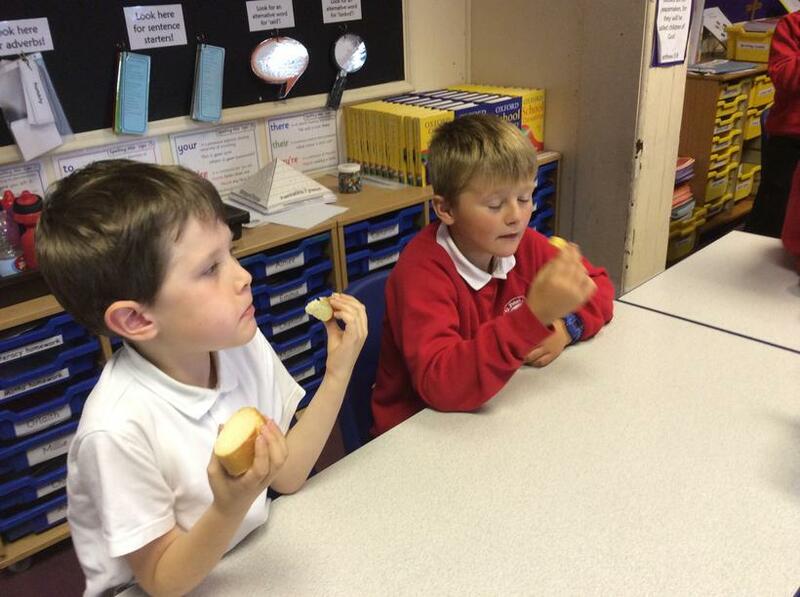 Dipping apples in honey! Class 8 loved it! 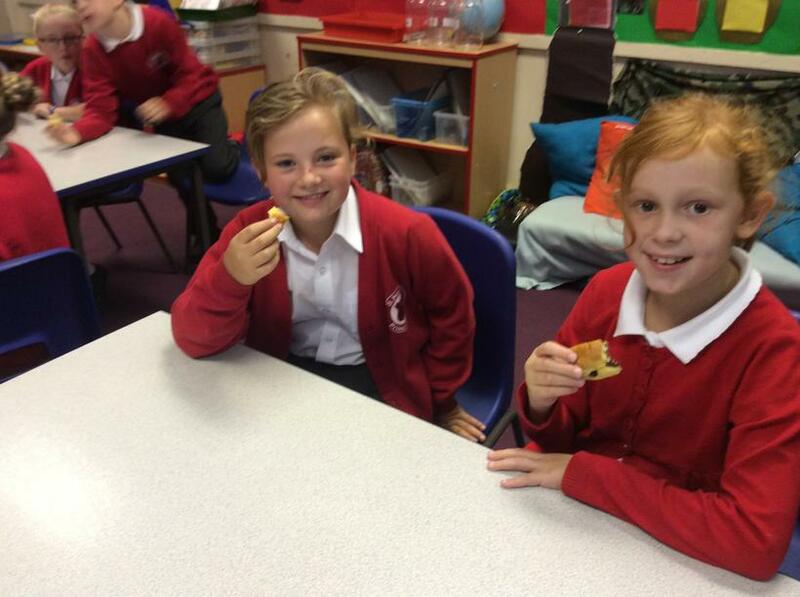 We have had a great start to the term! 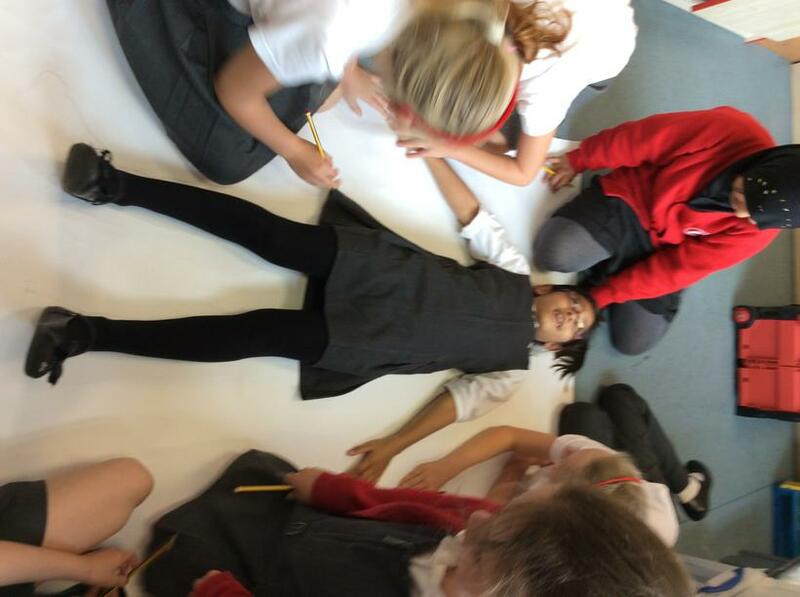 We've drawing around our bodies in science and starting to think about what peace really means in RE!